Flies There are 7 products. Set of 20 Spanish style fast sinking nymphs featuring smooth UV epoxy body and tungsten bead. They are perfect trout and grayling flies for European style of nymphing. We will make selection on request. 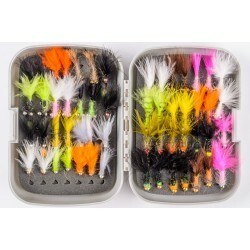 The collection of 56 Czech Mini Streamers in a handy small fly box. Fly sizes 8 and 10. For river and lake. 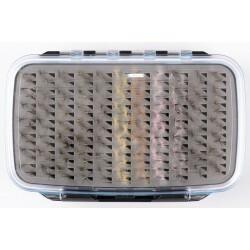 Squirmy Wormy is the modern fly pattern developed by US competition fly fishermen. It works especially in colored water and after heavier rain. 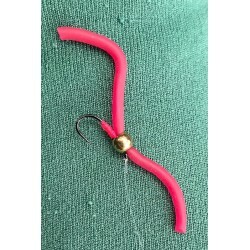 It features very soft silicone tail moving in faster water like the real worm. 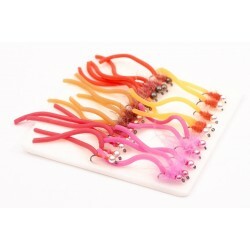 SUPERWORM is a variant of Squirmy Wormy flies developed by US competition fly fishermen. It works especially in coloured water and after heavier rain. 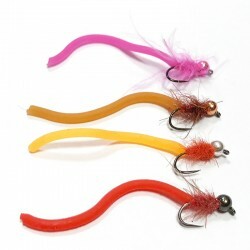 It features very soft silicone tails moving in faster water like the real worm. 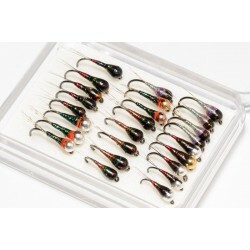 Set of 25 Squirmy Wormy tungsten nymphs. 5 fly patterns in 2 sizes - 12 and 14. Barbless hooks.